Federal Reserve Board Chairman Ben S. Bernanke spoke at the annual meeting of the Southern Legislative Conference of the Council of State Governments, Charleston, on August 2. It is a pleasure to be able to address this conference of southern leaders and legislators. 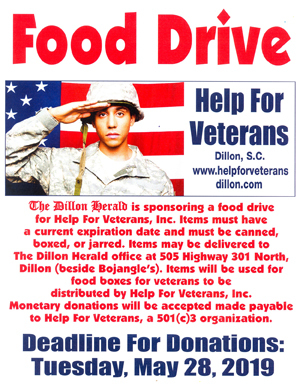 As some of you may know, I was raised only about 150 miles from here in Dillon, South Carolina, and remain connected to this area through family ties. Our nation has endured a deep recession that in turn was triggered by the most severe financial crisis since the Great Depression. Today, the financial crisis appears to be mostly behind us, and the economy seems to have stabilized and is expanding again. But we have a considerable way to go to achieve a full recovery in our economy, and many Americans are still grappling with unemployment, foreclosure, and lost savings. The recession–as all of you know too well–has also battered the budgets of state and local governments, primarily because tax revenues have declined sharply. Many states and localities continue to face difficulties in maintaining essential services and have significantly cut their programs and work forces. These cuts have imposed hardships in local jurisdictions around the country and are also part of the reason for the sluggishness of the national recovery. Today, I will touch on current economic and financial conditions and then turn to some near-term and longer-term challenges–fiscal and otherwise–facing state governments. After a precipitous decline in late 2008 and early 2009, the U.S. economy stabilized in the middle of last year and is now expanding at a moderate pace. While the support to economic activity from stimulative fiscal policies and firms’ restocking of their inventories will diminish over time, rising demand from households and businesses should help sustain growth. In particular, in the household sector, growth in real consumer spending seems likely to pick up in coming quarters from its recent modest pace, supported by gains in income and improving credit conditions. In the business sector, investment in equipment and software has been increasing rapidly, in part as a result of the deferral of capital outlays during the downturn and the need of many businesses to replace aging equipment. At the same time, rising U.S. exports, reflecting the expansion of the global economy and the recovery of world trade, have helped foster growth in the U.S. manufacturing sector. To be sure, notable restraints on the recovery persist. The housing market has remained weak, with the overhang of vacant or foreclosed houses weighing on home prices and new construction. Similarly, poor economic fundamentals and tight credit are holding back investment in nonresidential structures, such as office buildings, hotels, and shopping malls. Importantly, the slow recovery in the labor market and the attendant uncertainty about job prospects are weighing on household confidence and spending. After two years of job losses, private payrolls expanded at an average of about 100,000 per month during the first half of this year, an improvement but still a pace insufficient to reduce the unemployment rate materially. In all likelihood, significant time will be required to restore the nearly 8-1/2 million jobs that were lost over 2008 and 2009. Moreover, nearly half of the unemployed have been out of work for longer than six months. Long-term unemployment not only imposes exceptional near-term hardships on workers and their families, it also erodes skills and may have long-lasting effects on workers’ employment and earnings prospects. Financial conditions–though much improved since the depth of the financial crisis–have become somewhat less supportive of economic growth in recent months. Notably, concerns about the ability of Greece and a number of other euro-area countries to manage their sizable budget deficits and high levels of public debt roiled global financial markets in the spring, including our own. In response to these fiscal pressures, European leaders put in place a number of strong measures, including an assistance package for Greece and backstop financing for euro-area countries. And, recently, European banking supervisors released the results of comprehensive stress tests of their banks.1 On net, these measures appear to have reduced concerns in financial markets about European prospects. Like financial conditions generally, the state of the U.S. banking system has also improved significantly since the worst of the crisis. Loss rates on most types of loans seem to be peaking, and, in the aggregate, bank capital ratios have risen to new highs. However, many banks continue to have a large volume of troubled loans, and bank lending standards remain tight. With credit demand weak and with banks writing down problem credits, bank loans outstanding have continued to decline. Small businesses, which depend importantly on bank credit, have been particularly hard hit by restrictive lending standards. At the Federal Reserve, we have been working to facilitate the flow of funds to creditworthy small businesses. Along with the other banking supervisors, we have emphasized to banks and examiners that lenders should do all they can to meet the needs of creditworthy borrowers, including small businesses.2 We also have conducted extensive training of our bank examiners, with the message that lending to viable small businesses is good for the safety and soundness of our banking system as well as for our economy. We will continue to monitor bank lending and to seek feedback from banks and borrowers. Inflation has been low, with consumer prices rising at an average annual rate of about 1 percent in the first half of this year, and we anticipate it will remain subdued over the next couple of years.3 Slack in labor and product markets has damped wage and price pressures, and rapid productivity increases have helped firms control their production costs. Meanwhile, measures of expected inflation generally have remained stable. Medicaid spending is another source of pressure on state budgets. The recession and the weak job market have swelled the rolls of Medicaid participants. In 2009, caseloads were 11 percent above their 2007 level in the region represented by the SLC, again similar to the average in all states. With revenues down and Medicaid spending up, other categories of spending by state governments have been tightly squeezed. Over the past year, numerous state governments have laid off or furloughed employees, decreased capital spending, and reduced aid to local governments. Indeed, state and local payrolls have fallen by more than 200,000 jobs from their peak near the end of 2008. Some states have also raised taxes, but the weak economy has made it difficult to find significant new revenues. Assistance from the federal government, especially through the fiscal stimulus package, has eased, but certainly not eliminated, the budget difficulties faced by states. Although states and localities will continue to receive significant aid this year, that source of help will be winding down next year. On a more positive note, state and local tax revenues seem set to increase as economic activity expands. Indeed, 11 of the 15 states of the SLC reported earlier this year that they expect fiscal year 2011 revenues to be at least somewhat higher than the previous fiscal year.5 And improvements in the job market should gradually ease some of the demands on Medicaid and other social services. Moreover, the municipal bond market has remained reasonably receptive this year to most borrowers, with rates low and new issuance relatively solid, despite the concerns about the fiscal positions of many state and local governments. All that being said, with economic conditions still far from normal, state budgets will probably remain under substantial pressure for a while, leaving governors and legislatures a difficult juggling act as they try to maintain essential services while meeting their budgetary obligations. A question for the longer run is whether the vulnerability of state budgets to business-cycle downturns can be ameliorated. The pressures that states face during and after a recession are the result, in part, of balanced-budget rules in state constitutions that prohibit the use of long-term borrowing to cover operating budget shortfalls, a constraint not faced by the federal government, as you know. I do not advocate changing the balanced-budget rules followed by 49 of the 50 states; they provide important discipline and are a key reason that states have not built up long-term debt burdens comparable to those of many national governments. However, as is the case today, these rules may force significant state cutbacks in bad economic times when services are most needed. Moreover, many government programs–in areas such as education or health care, for example–are likely to be most effective when funding sources are stable and predictable, allowing for longer-term planning. Tools exist to help mitigate the effects of the business cycle on state budgets. Many states deal with revenue fluctuations by building up reserve–or “rainy day”–funds during good economic times. Measured as a percent of general fund expenditures, the aggregate reserve fund balances for all state governments stood at a record of about 12 percent at the end of 2006; the states represented by the SLC had accumulated above-average reserves of around 16 percent. These high reserve-fund balances were helpful in lessening the severity of spending cuts or tax increases in many states. Nevertheless, given the depth of the recent recession, even these historically high reserve-fund balances proved insufficient to buffer fully the budgets of most states. Thus, state governments may wish to revisit their criteria for accumulating fiscal reserves. Building a rainy-day fund during good times may not be politically popular, but it can pay off during the bad times. In principle, some smoothing of state government expenditures over time could take place through the capital budget. Maintaining or even increasing the pace of infrastructure construction when the economy is weak fosters economic development and provides local jobs, and it may even allow the state to get more bang for the buck because of increased competition among private contractors when demand is slack. However, voters and policymakers may understandably be reluctant to approve new bond issues and take on additional costs for debt payments in a period of fiscal and economic stress. Beyond balanced-budget rules, state government finances also fluctuate because of the increasing sensitivity of their revenues to changes in economic conditions. For example, capital income, which tends to vary substantially more than wage and salary income, has over time become a relatively more important source of state personal income taxes.6 Also, sales taxes that understandably exempt certain necessities may also lead to more cyclicality in collections. As state legislatures review their tax systems, they may wish to consider revenue stability along with other critical features of the tax code such as fairness, support for economic growth, and administrative costs. Of course, healthy economic growth can ease state and local fiscal problems–and federal fiscal problems, for that matter. Notwithstanding the very difficult near-term budget issues you face, I urge you not to take your eye off the important goal of promoting growth. A basic economic principle is that growth requires investment. Investment includes physical investment such as infrastructure development; surely, adequate transportation networks and the like are necessary for economic growth. But for sustained economic development, investment in people–in their knowledge and skills–is even more important. No economy can succeed without a high-quality workforce, particularly in an age of globalization and technical change. I think this is a lesson that the South, as a region, has learned quite well. When I attended public schools in South Carolina in the 1960s, measures of per-pupil spending, years of schooling, and student achievement in the South lagged significantly behind other parts of the country. Since then, those indicators have changed, very much for the better. Because of the concerted efforts of state and local governments, high school completion rates in the South have gradually converged to the national average. Southern colleges and universities have become more prominent nationally and internationally, and we have seen the emergence of leading centers of education and innovation, such as the Research Triangle Park area in North Carolina and the high-tech area around Austin, Texas. Economic progress and a high quality of life have in turn attracted educated workers and new industries. Doubtless, investment in education and training has been a key source of the remarkable economic gains that the South has achieved over the past 50 years or so. Additionally, in a dynamic economy in which job requirements are constantly changing, individuals already in the workforce need opportunities to improve their skills throughout their lives. There are many ways to provide such opportunities. For example, community colleges and vocational schools play essential roles in training and retraining workers, especially if they do so in close collaboration with private employers, and they do so at a relatively low cost. State governments can facilitate public-private collaboration to help individuals gain skills that the market demands. Though creating opportunities for workers to retrain is always important, it is especially critical now, when the high rate of long-term unemployment threatens the longer-term employability and productivity of many. Providing economic opportunity and rising living standards for as many people as possible is, of course, the fundamental rationale for continued economic development. From the perspective of government finances, however, healthy local economies will also be necessary if state governments are to successfully confront some difficult, longer-term fiscal issues. As you know, with the retirement of state employees that are part of the baby-boom generation and the continued rise in health-care costs, states’ retiree pension and health-care obligations will become even more difficult to meet in coming years. In addition to pensions, states will have to address the burgeoning cost of retiree health benefits. Estimates of these liabilities are subject to significant uncertainty, largely because we have little basis on which to project health-care costs decades into the future. However, one recent estimate suggests that state governments have a collective liability of almost $600 billion for retiree health benefits.12 These benefits have traditionally been funded on a pay-as-you-go basis and therefore could entail a substantial fiscal burden in coming years as large numbers of state workers retire. Of course, the demographic and health-care trends faced by state governments present severe challenges for federal fiscal policymakers as well. Long-term projections of the federal government’s budget under current policies and plausible economic assumptions show a structural budget gap that is both large relative to the size of the economy and increasing over time.13 To steer clear of sudden, sharp, and disruptive shifts in spending programs and tax policies, and to retain the confidence of the public and financial markets, federal policymakers need to develop a credible plan to restore fiscal sustainability. The states have the opportunity to serve as role models for effective long-term fiscal planning. Given the size of long-term obligations and the importance of meeting commitments to employees and the public, I don’t think these problems can be solved simply through across-the-board cuts in existing state programs. Instead, states should intensively review the effectiveness of all of their programs and be willing to make significant changes to deliver necessary services at lower cost. This willingness to look for new solutions seems especially important in the case of health programs, where costs are growing the most quickly. Today I have highlighted the challenges that state legislators face, both in the South and in other regions. In the past few years, the weak economy has significantly reduced state and local government revenues, which in turn has forced difficult decisions on spending and taxes. An improving economy should help, but state finances will remain under pressure for some time. In the longer term, like the federal government, state governments must respond to the aging of the population and the seemingly inexorable rise in health-care costs. These are daunting challenges indeed, but I believe we can find constructive ways to meet them, and I suspect that many of these solutions will be found at the state level. Dealing with the fiscal challenges at all levels of government will be essential to ensuring that our resilient and dynamic economy delivers rising living standards to the citizens of your states and to our nation as a whole. 1. For information on the 2010 European Union stress testing, see the Committee on European Banking Supervisors’ website at www.c-ebs.org/EuWideStressTesting.aspx. 2. See Board of Governors of the Federal Reserve System, Federal Deposit Insurance Corporation, National Credit Union Administration, Office of the Comptroller of the Currency, Office of Thrift Supervision, and Conference of State Bank Supervisors (2010), “Regulators Issue Statement on Lending to Creditworthy Small Businesses,” joint press release, February 5, www.federalreserve.gov/newsevents/press/bcreg/20100205a.htm. 3. The discussion in the text refers to inflation as measured by the price index for personal consumption expenditures. 4. The Southern Legislative Conference comprises the states of Alabama, Arkansas, Florida, Georgia, Kentucky, Louisiana, Mississippi, Missouri, North Carolina, Oklahoma, South Carolina, Tennessee, Texas, Virginia, and West Virginia. 5. See Southern Legislative Conference (2010), “What Are the Revenue Estimates for Fiscal Years 2010 and 2011 in the SLC States?” Question of the Month, February, www.slcatlanta.org/QoM/2010/QuesFeb10.html. 6. See Richard Mattoon and Leslie McGranahan (2008), “Revenue Bubbles and Structural Deficits: What’s a State to Do?” Working Paper No. 2008-15 (Chicago: Federal Reserve Bank of Chicago, July), available at www.chicagofed.org/webpages/publications/working_papers/2008/wp_15.cfm; and David L. Sjoquist and Sally Wallace (2003), “Capital Gains: Its Recent, Varied, and Growing (?) Impact on State Revenues,” State Tax Notes, August 18, available at www.taxpolicycenter.org/publications/url.cfm?ID=1000613. 7. For example, see the work of the Human Capital Research Collaborative, a joint project of the University of Minnesota and the Federal Reserve Bank of Minneapolis, at www.humancapitalrc.org. 8. See, for example, Henry M. Levin, Clive Belfield, Peter Muennig, Cecilia Rouse, Barbara Wolfe, and Nathan Tefft (2007), “The Public Returns to Public Educational Investments in African American Males,” Discussion Paper 112 (Minneapolis: Early Childhood Research Collaborative, April), available at www.earlychildhoodrc.org/papers/dp112-abstract.cfm. 9. See Alicia H. Munnell, Richard W. Kopcke, Jean-Pierre Aubry, and Laura Quinby (2010), Valuing Liabilities in State and Local Plans (Chestnut Hill, Mass. : Center for Retirement Research at Boston College, June), available at http://crr.bc.edu/briefs/valuing_liabilities_in_state_and_local_plans.html. 10. See Joshua Rauh (2010), “Are State Public Pensions Sustainable? Why the Federal Government Should Worry About State Pension Liabilities,” Working Paper Series (Evanston, Ill.: Northwestern University, May), available at http://ssrn.com/abstract=1596679. 11. See Jeffrey R. Brown and David W. Wilcox (2009), “Discounting State and Local Pension Liabilities,” American Economic Review, vol. 99 (May), 538-42. It should be noted that future pension accruals and health benefits generally seem to be accorded a lower level of protection. 12. See Pew Center on the States (2010), The Trillion Dollar Gap: Underfunded State Retirement Systems and the Road to Reform (Washington: PCS, February), available at www.pewcenteronthestates.org/report_detail.aspx?id=56695.